EPFL is Europe’s most cosmopolitan technical university with students, professors and staff from over 120 nations. A dynamic environment, open to Switzerland and the world, EPFL is centered on its three missions: teaching, research and technology transfer. 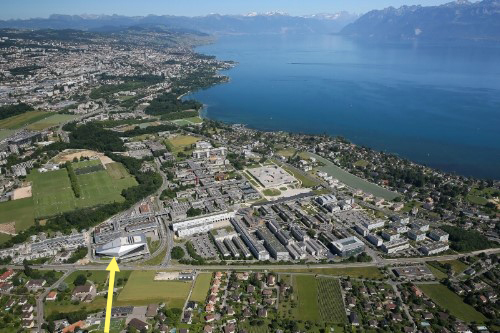 EPFL is located very close to the Lake of Geneva and west of Lausanne. 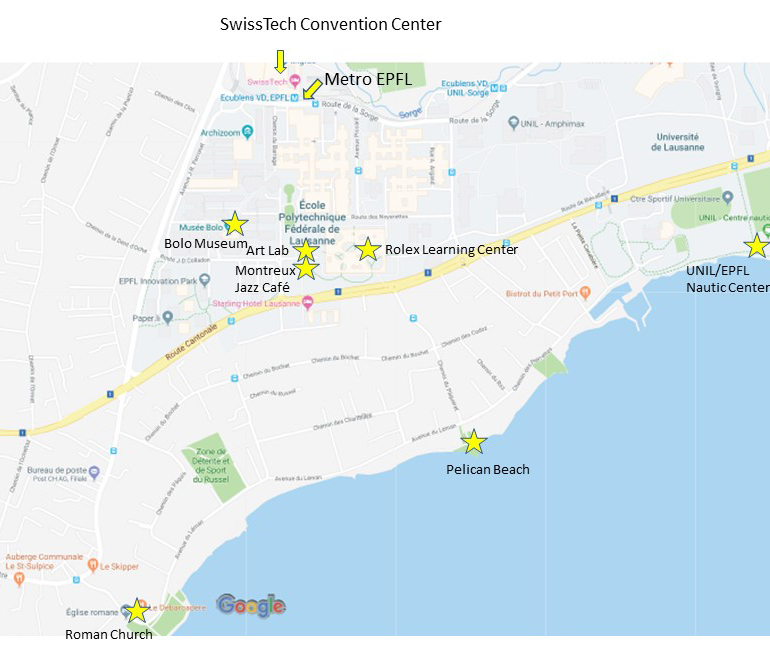 The SwissTech Convention Center (STCC) is located on the campus of EPFL/UNIL. The SwissTech Convention Center is one of the largest conference centers in the Lake Geneva region, hosting events of international fame. This majestic building is distinguished by its modernity, its innovative technologies and a warm and experienced team. UNIL/EPFL nautical centre (sailing boat, paddle, windsurf availble to rent, 20-50CHF/hour) (in French). The city of Lausanne overlooks Lake Geneva, the largest lake in Western Europe, and faces the majestic splendour of the snow-capped Alps. It boasts a backdrop of scenic beauty that is truly breathtaking. 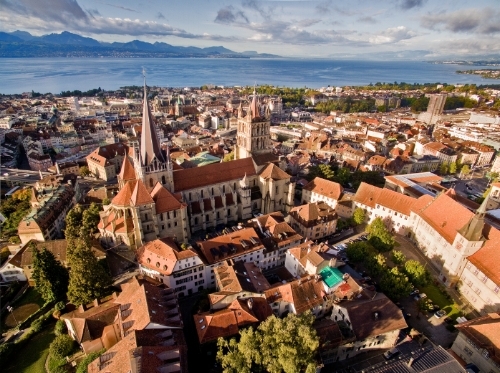 Lausanne old town with cathedral – the impressive cathedral is surrounded by beautiful, car-free roads. Since 1405 a watch in the clock tower makes sure there is no fire and shouts out the hours from 10 p.m. to 2 a.m.
Olympic Museum – provides an overview of the history of the Olympic games, from the first 1896 summer games in Athens through to the present day. Lake Geneva cruise – paddlewheel steamers and motor vessels highlight the attractions of the Lake Geneva region as seen from the water. Musée de l’Art brut – a unique, worldwide collection of works of art created by outsiders in psychiatric clinics and prisons. Fondation de l'Hermitage – the foundation presents changing art exhibitions of the highest calibre in a magnificent setting dating from the 19th century. Train des vignes – leisurely train journey onboard the «Train of Vines» from Vevey to Chexbres through the winegrowing region of the Lavaux, high above Lake Geneva. Stroll by the lake in Ouchy: take metro M2 direction Ouchy, turn left when exiting the station. You will reach the pier and you can start the walk along the lake until Pully (40 minutes) or Lutry (1h). You can come back by bus. Lavaux (UNESCO World Heritage Site). 15min by train from Lausanne. For a nice walk in Lavaux take the train to the village of Chexbres and walk down the terrasse winyards until the village of Saint-Saphorin, for example. Or discover other walks on this map, and other options to reach this beautiful area here.